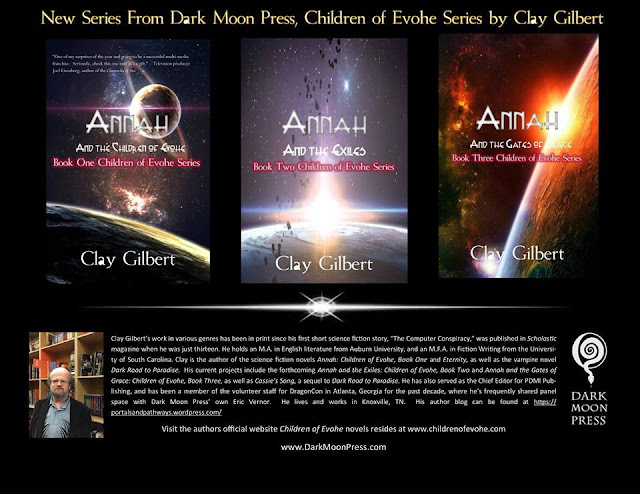 In the second novel of Clay Gilbert’s Children of Evohe series, Annah has gone to Holdfast Station, an Earth outpost situated above a contested world called Aurora-Prime by some, but Holdfast by the dissidents and former Earth colonists who call it their home. Prompted by a vision, she has set out, along with Kale Goodman, to rescue her mate Gary Holder from captivity aboard the station. 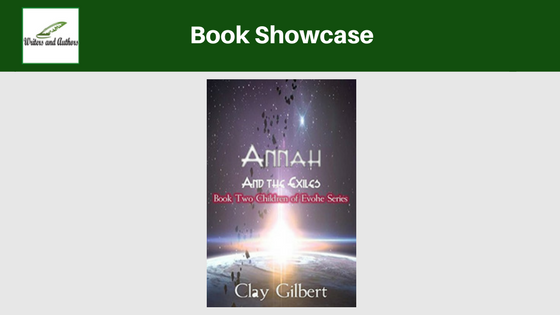 But Annah’s brave decision places her in the center of a personal and political nightmare, for Gary Holder, believed by many to be dead following a catastrophic accident near the station, may no longer be the man she knows and loves. Holdfast Station does not occupy the Sea of Stars alone: down on the planet that shares its name, a community of outsiders, political prisoners and freedom fighters are engaged in a struggle against the corrupt and power-hungry planetary government of Earth, who do not recognize Holdfast’s independence and seek to retake the planet for themselves, by diplomatic means if possible, and by armed invasion if necessary. 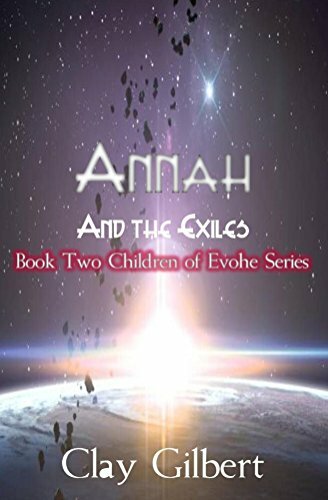 Even if Annah does manage to save Holder from his uncertain fate, will her compassion for the fate of those on the planet below allow her to remain uninvolved in their struggle for freedom? 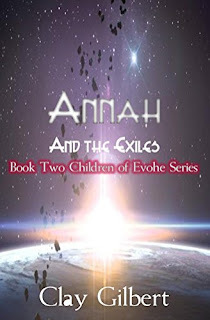 The adventure continues, in ANNAH and the EXILES Book two of the children of Evohe. Clay Gilbert has been hearing the voices of aliens, vampires, and people from the future since about the age of four. It wasn't long before he started to think taking notes on what they said might be a good idea. This has led him many places—through the halls and classrooms of many schools, where he's been both in front of the teacher's desk and behind it, himself—to presenter's podiums at conventions, and, most often, to the comfortable chair behind his writing desk at home, where he uses his Dell computer as both a beacon and a translator for the voices that still find their way through from countless worlds and planes of existence. Clay’s work in various genres has been in print since his first short science fiction story, “The Computer Conspiracy,” was published in Scholastic magazine when he was just thirteen. He holds an M.A. in English literature from Auburn University, and an M.F.A. in Fiction Writing from the University of South Carolina. Clay is the author of the science fiction series Children of Evohe, including the novels Annah and the Children of Evohe, Annah and the Exiles, and Annah and the Gates of Grace. 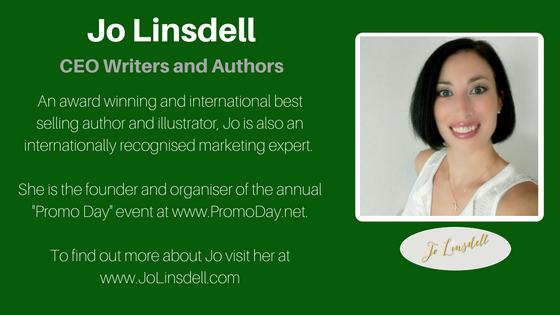 He is also the author of the YA dystopian novel Eternity, as well as the vampire novel Dark Road to Paradise. His works are published by Dark Moon Press. His current projects include an urban fantasy novel called The Kind, as well as Cassie’s Song, a sequel to Dark Road to Paradise, and a standalone science fiction novel set in the universe of the Children of Evohe series, called The Conversationalist. 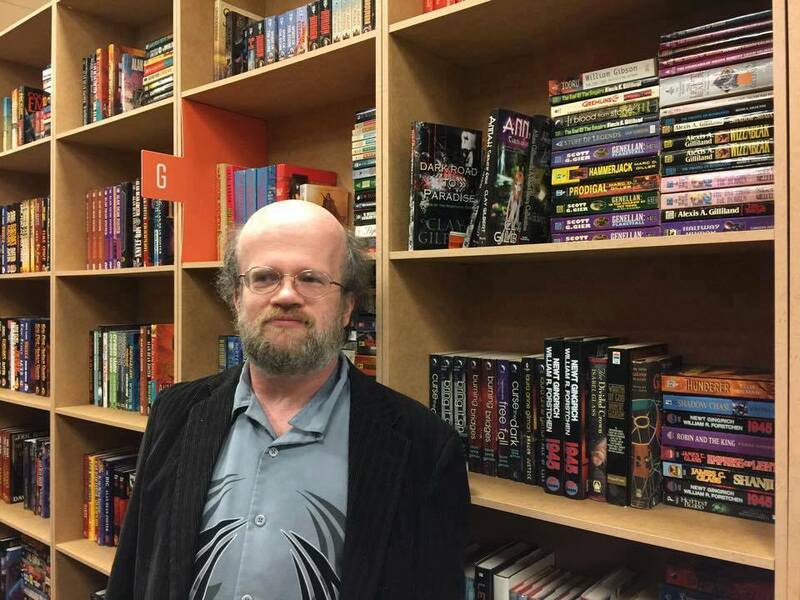 He has also served as the Chief Editor for PDMI Publishing, and has been a member of the volunteer staff for DragonCon in Atlanta, Georgia for the past decade, where he’s frequently shared panel space with Dark Moon Press’ own Eric Vernor. He lives and works in Knoxville, TN. His author blog can be found at https://portalsandpathways.wordpress.com/, and the official website for his Children of Evohe novels resides at https://childrenofevohe.com/.